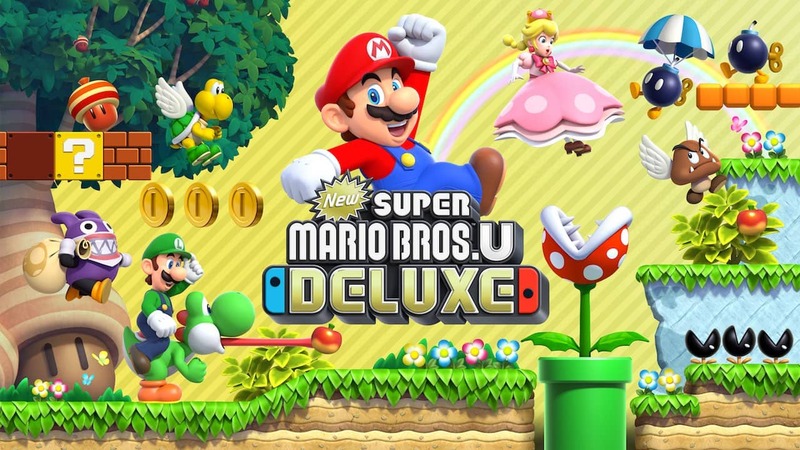 Nintendo UK has much to celebrate this week, as New Super Mario Bros. U Deluxe has managed to leap to the top of the all-format charts. It becomes the fourth Nintendo Switch game to secure the top spot, with the colourful side-scrolling platformer joining Mario Kart 8 Deluxe, Mario Tennis Aces and Super Smash Bros. Ultimate. What’s far more impressive is that GamesIndustry.biz reports that sales of the Mushroom Kingdom adventure were 56 percent higher than when it was first released as a Wii U launch title way back in November 2013 – a tally that excludes digital sales. It wasn’t alone in its success, with Super Smash Bros. Ultimate (No. 5), Mario Kart 8 Deluxe (No. 6), Pokémon Let’s Go, Pikachu! (No. 12), Super Mario Party (No. 15), The Legend of Zelda: Breath of the Wild (No. 19), Pokémon Let’s Go, Eevee! (No. 24), Super Mario Odyssey (No. 26) and Splatoon 2 (No. 34) all remaining in top 40. New Super Mario Bros. U Deluxe is now available exclusively for Nintendo Switch worldwide.